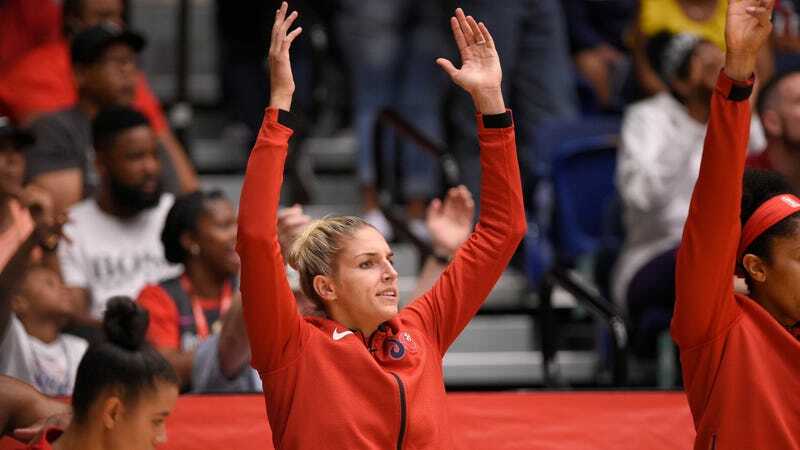 Elena Delle Donne is listed as a starter for the Washington Mystics in their do-or-die Game 4 semifinal matchup against the Atlanta Dream Sunday afternoon. I am sure you will join me in saying please don’t make me watch the video of her knee bending backwards like al dente linguine again. Delle Donne was killing the Dream in Game 2 Tuesday night when she took a bad step while driving in transition, and her knee bowed in exactly the wrong direction, and she went to the floor in a heap. The Mystics described the injury as a bone bruise, and Delle Donne was relegated to enthusiastic spectator status for Washington’s five-point Game 3 loss Friday night. Delle Donne finished the regular season third in the WNBA in points per game, and ninth in rebounds per game, and eighth in blocks, and that is just a lot of production for a basketball team to lose in a playoff series while maintaining any hope of advancing. It appears the “game-time decision” has been made, and it is to send Delle Donne out there on the boiled joint and see if she can pull a Kirk Gibson. Godspeed! Game 4 starts at 3 p.m. Sunday afternoon.